Mosquito bites are not just annoying, they can also spread illnesses. Public health entomologist Grayson Brown is here to take all your questions about mosquitoes and mosquito-borne diseases. Brown directs the University of Kentucky's Public Health Entomology Lab, where they look at everything from the spread of Chikungunya to how flooding impacts mosquito populations. Brown has also been a professor of entomology for over 30 years and was president of the Entomological Society of America (the largest such society in the world) in 2012. His research focuses particularly on mosquitoes, the illnesses they can spread, and their control. He'll be joining us from 10:30 - 11:30 A.M. (Pacific time), so start asking him your questions now about mosquitoes, their impact on our health, and what we can do about it. 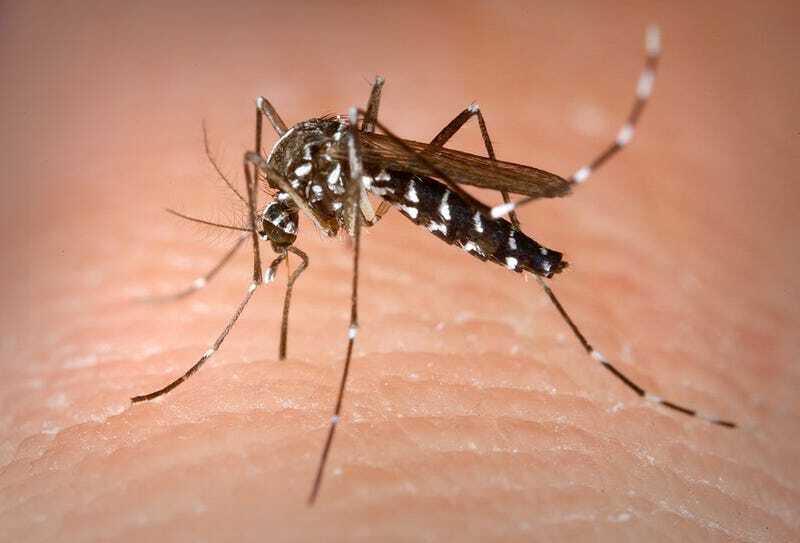 Image: Asian tiger mosquito, James Gathany/CDC.